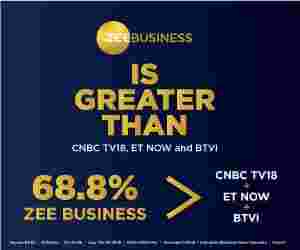 Ajay Piramal, Chairman, Piramal Group, in an exclusive interview with Anil Singhvi of Zee Business, spoke about the current turmoil in the non-banking financial companies (NBFC) sector. Q: First of all, I would like to know about the thing that is creating the problem in the NBFC Sector? Do you think that liquidity is the problem or the rise in interest rates is something that triggered the crisis in the sector? A: In my presentation during investors meet on August 30, 2018, I said that any blow up in NBFC has the power to affect the whole sector and this is happening. The problem at Infrastructure Leasing & Financial Services (IL&FS) has triggered the issue and resulted in lowering down of every company in the sector. The default by IL&FS has also forced banks, mutual funds and other fund providers to tighten lending to NBFCs. But there is a relaxation in the market now and banks and mutual funds have started funding good NBFCs with quality governance, good promoter base and asset quality. It was a temporary shock and it happened because IL&FS is a big NBFC with good exposure by banks and mutual funds. Q: Is there lapses related to governance in NBFCs or the absence of complete regulations is a reason for this crisis in the system? A: Actually, IL&FS is not only an NBFC. Looking at their books you will find that its book is limited to Rs 18,000-20,000 crore but their complete liability stands between Rs 90,000 crore to 1 lakh crore. It has invested in different sectors like power and road as well as other infrastructure projects. That's why it must not be counted only as an NBFC as they invest more in the infrastructure sector. Q: This availability of two options of existence, as NBCC and infrastructure company, and absence of the regulator to whom they will report is the main problem. Who will take care of such a big company that is at the verge of falling, is defaulting and its effects are visible in the entire sector? How to get out of it? A: The board of the main holding company of IL&FS and individual lenders should look into the quality of investment of the company, like in the power and road projects, and find the capital expenditure and its viability in them. Q: If I am not wrong than you were exploring the possibilities to buy IL&FS in 2014. Do you have any interest in buying the company anymore? A: I don't have any interest in buying the company and during my conversation with investors on August 30, I said that I am against buying the NBFCs as accessing their books is not a simple task. Q: Your comment that assessing the books of the NBFC is a difficult task is a huge statement. What is the thing that makes it a difficult task? A: I feel, one must look after the promoters and governance of the NBFCs before looking at their books. A number of stakes of the promoters in the NBFC make a difference. For instance, promoters stakes are more than 50 per cent in our case but there are NBFCs where you can find a decline in the stakes of management or promoters, which means they are not in the position to look after it. Q: Let us come to housing finance companies and their fall in the stock markets is hinting that this segment will also face a problem in times to come. Will you like to buy some of these companies, like Indiabulls Housing Finance and DHFL, or some of their assets? A: No. We have a clear policy under which we have decided to not go for acquisition at present as we feel that we have the abilities to grow our books without acquiring some other company or its assets. I have been saying that this is a time when one should have cash in their account so that they can withstand liquidity situations. Q: Can you let us know about the reason that you have decided not to go for any further acquisition? A: On going through our records you will find that we have only one investment in the financial sector and it was made in Shriram Group. The investment was made in the backdrop of its strength as it was a big name in consumer lending segment as well as small and medium sector lending. In addition, there is a growth in our book and it is growing and quality of assets available with it is also a good one. Gross NPA in our books stands at 0.4 per cent. This is a reason that I don't want to go for any acquisition. Q: Can you let us know about the focus areas of your company and the areas of expansion? Also let us know about the capital, available with you that will be used in the expansion of the business? A: Let us talk about the capital. Earlier in 2017, we raised about Rs 7,000 crore with a mix of qualified institutional placements (QIPs) and a rights issue. This has helped in increasing the equity of the Piramal group. Today, we have an equity of around Rs 20,000 crores in the financial services that are available with us. Our books size stands around Rs 50,000 crore and we can also increase its size through the equity that is available with us. In addition, we have liquid cash of around Rs 2,500 crore and there are several banks in line and their support can help in increasing the liquidity situation to about Rs 5,000-6,000 crore. When it comes to areas then our book is getting diversified as we have entered into the real estate sector as well as other corporates and providing funds to small and medium scale corporates. In addition, we are also offering housing finance to individuals and consumers. Q: On behalf of retail investors, I would like to ask you about the types of NBFCs where they should invest and where they should restrict themselves while investing? A: I feel, one should invest in companies whose maximum stakes are lying with their promoters and they are not diluting it. In addition, they must have good governance and liquidity situation.